Review: Kogi Bulgogi introduces Korean style of eating Ssamgyeopsal to Filipinos! Ssamgyeopsal is not just "three-layered meat". 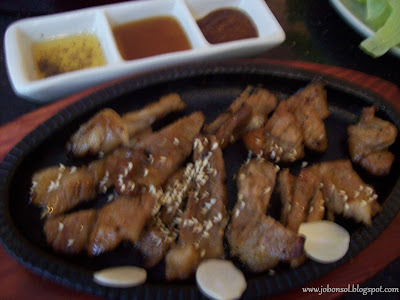 Eating korean food for more than 18 years now had been a lifestyle after taking Korean 10 and 11 in college and I have always appreciated the art of eating Ssamgyeopsal, pork belly strips grilled and served with variety of dips and vegetables. My visit at Kogi Bulgogi today at Eastwood Mall showed me how Filipinos are taught of how to eat this evening dish by its presentation. Koreans have taught me that the lettuce should be first placed by a slice of grilled pork strips by hand dipped in deon-jang (fermented bean paste), sesame oil with salt and pepper, a strip of any of the variety of Banchan (free side dishes served in any Korean restaurant usually 6 or 7 types when ordering any dish) and a half teaspoon of rice wrapped and eaten with hand. I ordered, Jiampong (spicy noodle dish,P207), Soft Shell Crab Rolls (P208/really big serving), Ssam Gyeop Sal (pork and vegetable rice wraps, P187), Chicken Kalbi (grilled chicken, P229), Dweji Kalbi (grilled pork, P176) and a glass of Watermelon Shake (P65) and I got a free dish - Kimchi Jeon (kimchi pancake)! I was just thinking of ordering Appetite Magazine's recommended dish, Kimchi Jeon with a refreshing beverage when the waitress informed me that food purchase amounting to P1,000 will give you the dish for free so I stopped the fret and indulged. 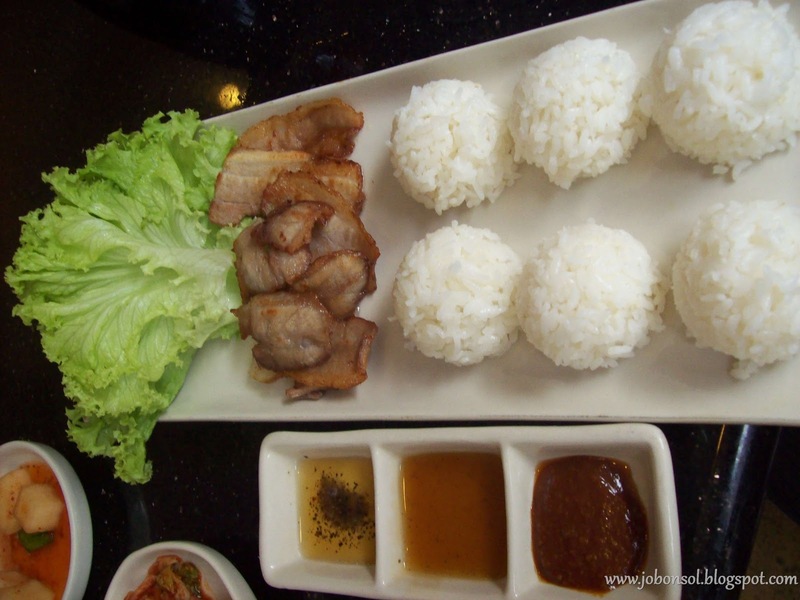 The presentation of Samgyeopsal was creative and interesting with tiny scoops of really delicious Korean rice, plated with lettuce and grilled pork belly strips and dips of sesame oil with salt and pepper, sweet sesame oil and deonjang (fermented bean paste) and served in those dainty and tiny dish plate. The menu of Kogi Bulgogi which opened last April was even more interesting and helpful showing how the dish is supposed to be eaten writing the dish as Ssambap (vegetable and bite size rice wraps) which I have not seen before in other restaurants and showing a photo of how to wrap the food in the plate on the lettuce leaves. The grilled chicken and pork was also served with the three dips and lettuce which I don't normally see done in authentic Korean restaurants. 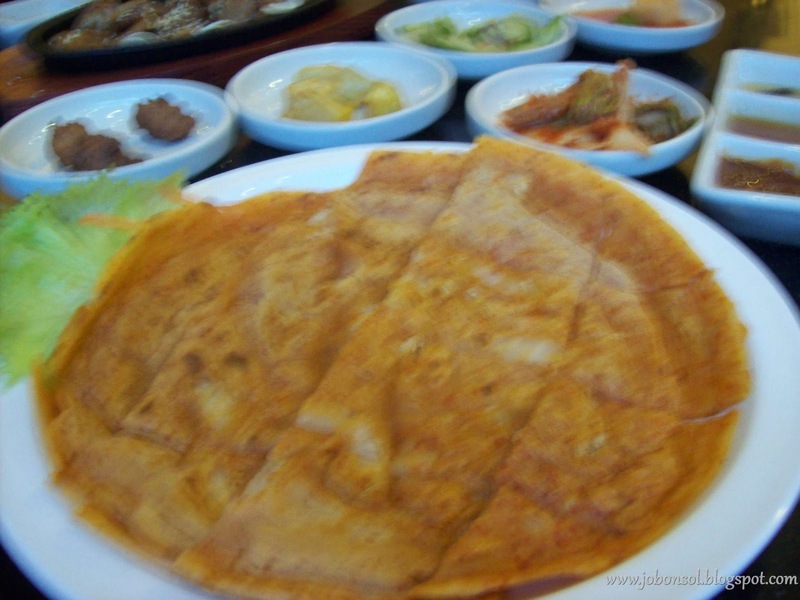 The Kimchi Jeon (kimchi pancakes), normally served as snack for kids and adults was also not too spicy as compared to the ones I've tried in Korean homes and Korean restaurants. Every bite reminded me of my college days tutoring Koreans in their homes as the mothers would teach their Filipino domestic helpers how to make them using cake flour and eggs fried and served hot on a plate for visitors. 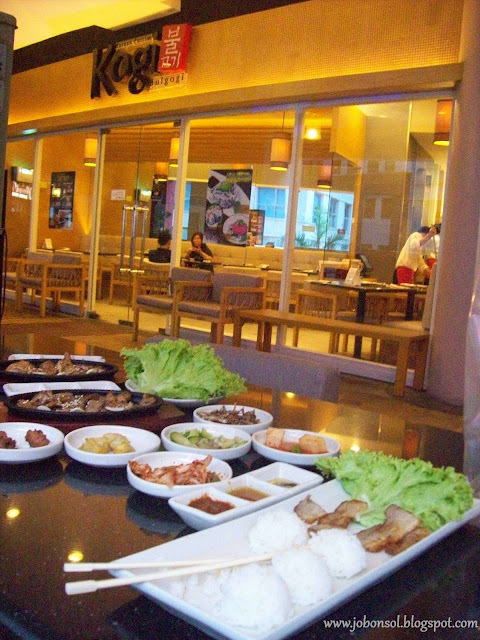 Kogi Bulgogi had just made it easier for Filipinos to appreciate Korean food in a casual dining restaurant. I was so happy reminiscing my past with such delicious food that's really affordable and friendly. The staff was also accommodating attending to all of my needs and entertaining me with information about the restaurant's beginnings. 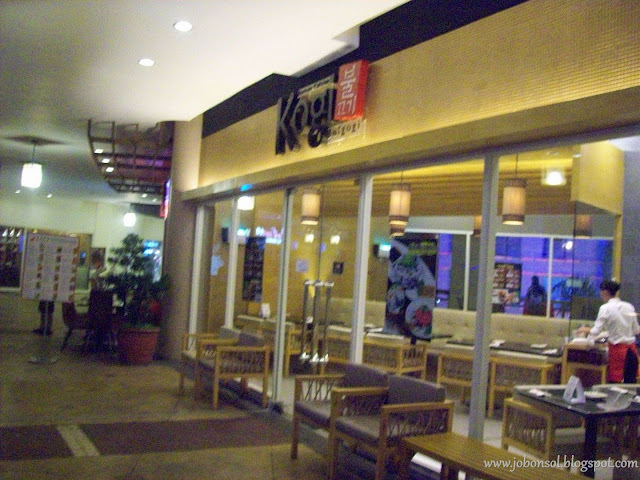 I have always brought my new friends to a Korean restaurant in Timog, Quezon City as a tradition sharing my passion about culinary adventures and today I've thought I'd change that tradition altering the location and the restaurant. I will definitely start bringing my friends here because the ambiance is more Filipino, more friendly, modern and more importantly, situated in Eastwood Mall, where I can enjoy shopping and dining at the same time. I need not also worry on the cost as Kogi Bulgogi menu wrote, prices are inclusive of taxes and service charges. 1.Kimchi is a delicious additive to any Korean dish, and Koreans claim it can cure any disease. Scientists now agree--recent studies show Kimchi may increase metabolism and prevent obesity. 2.Kimchi prevents obesity through its fermentation process and the ingredients used to help it ferment. According to several studies, the fermentation process allows lactic acid to penetrate the food, allowing healthy bacteria to form, called Lactobacillus kimchii. This bacteria promotes lactic acid. According to the National Center for Biotechnology Information, lactic acid prolongs endurance, regulates the digestion system, and promotes healthy metabolic functioning in men. It naturally boosts the metabolism and allows you to exercise longer, naturally fuelling your workout. Instead of gulping down a chocolate shake, eat Korean food rich with this Korean condiment. 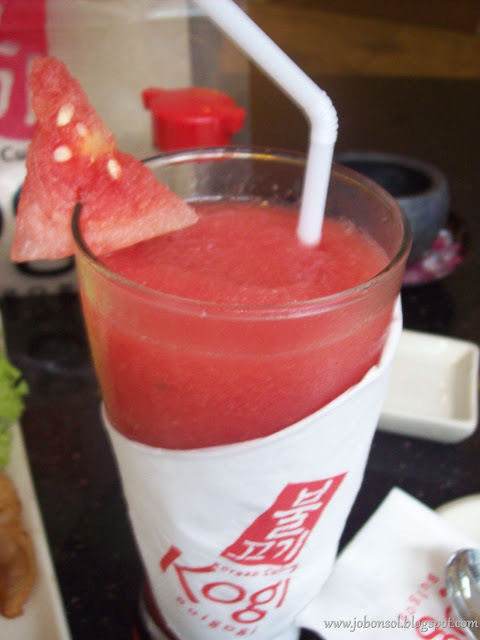 3.Kimchi's ingredients also make this a healthy and low calorie Korean food. Its main ingredients, fish paste, dried chili peppers, and garlic, all have powerful nutritional properties and are packed with antioxidants. Dried chili peppers, for example, prevents obesity because it contains capsaicin, the chemical that causes food to be hot. Capsaicin helps people get fuller fast, reducing the amount of food eaten. It prevents obesity by reducing hunger signals quickly. It also boosts the metabolism, which is important if you want to prevent obesity. Garlic, which is heavily used in Korean food, prevents obesity by improving circulation, removing particles that cause blood clots, and stabilizes cholesterol levels. Combined with food, it helps reduce fat while providing your body with plenty of obesity-fighting antioxidants. 2.Event: Appetite Magazine celebrates 6th anniversary with Restaurant Festival in Eastwood! 3.Event: Mango Tree Bistro opens in Trinoma! 5.News: Figaro goes Thai and Greek with their new set of Ala Carte! 8.Thank You Toblerone for the 2nd Mother's Day Dinner! 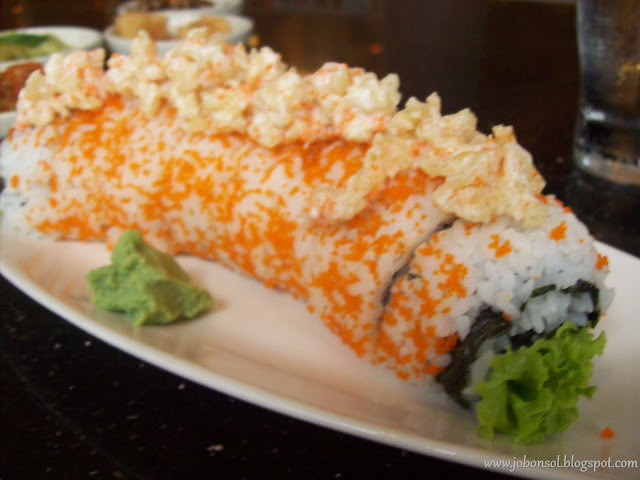 10.Review: Awaken the child in you with Caveman and Yeti shaved ice!